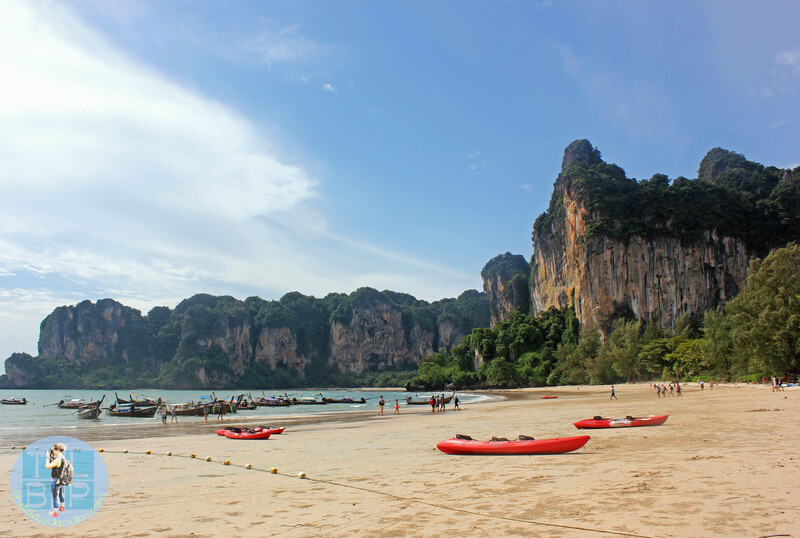 Railay Beach (also spelt Raileh or Railey and sometimes called bay) is located in the Krabi Province in Thailand and is only accessible by boat due to the high limestone cliffs cutting off the mainland. 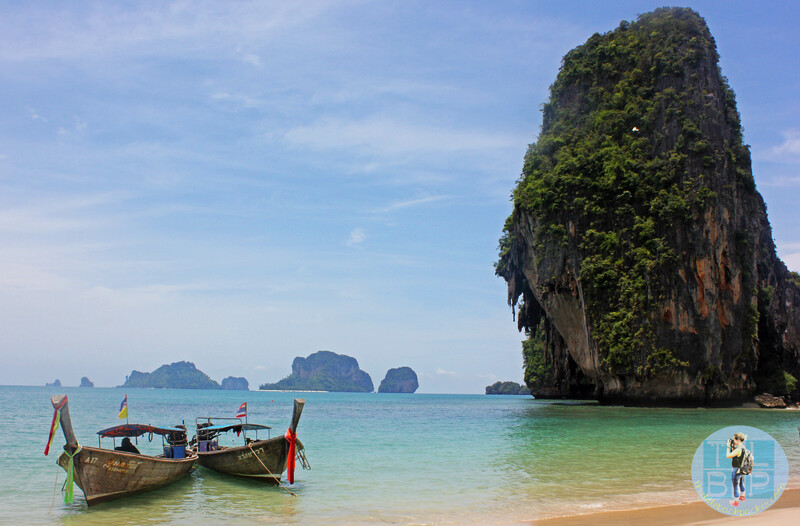 We took the boat from Ao Nang beach for B200 return, this was a public longtail where you had to wait for the ride to be full up before leaving – I’m sure you could also hire a private boat. 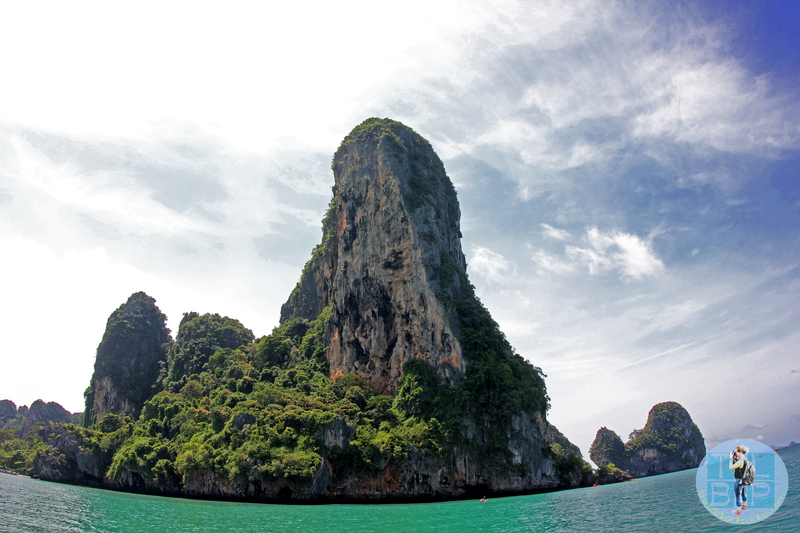 We came out on to a beach which was still showing off beautiful rock formations when I looked right and discovered…. 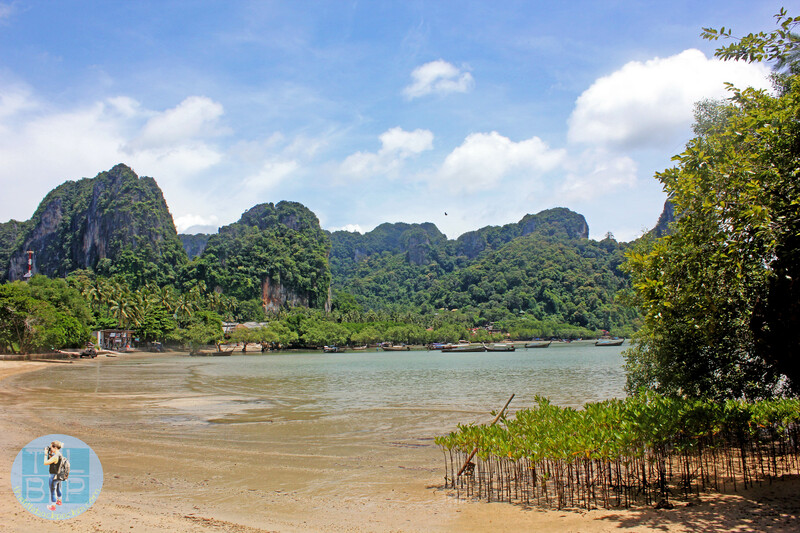 After some hunting we found our perfect Thailand beach, when we headed of to Railay I assumed we were going to find one beach and that would be the only beach, instead what you find is several beaches, hotel complexes and restaurants. 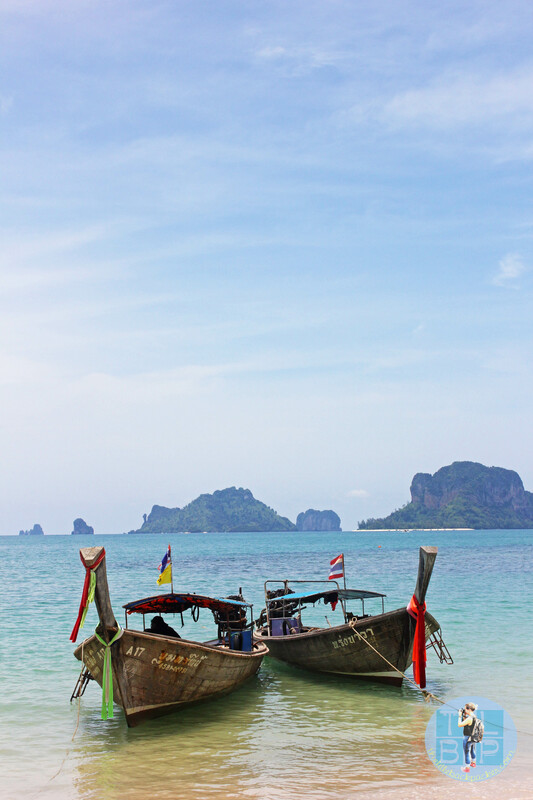 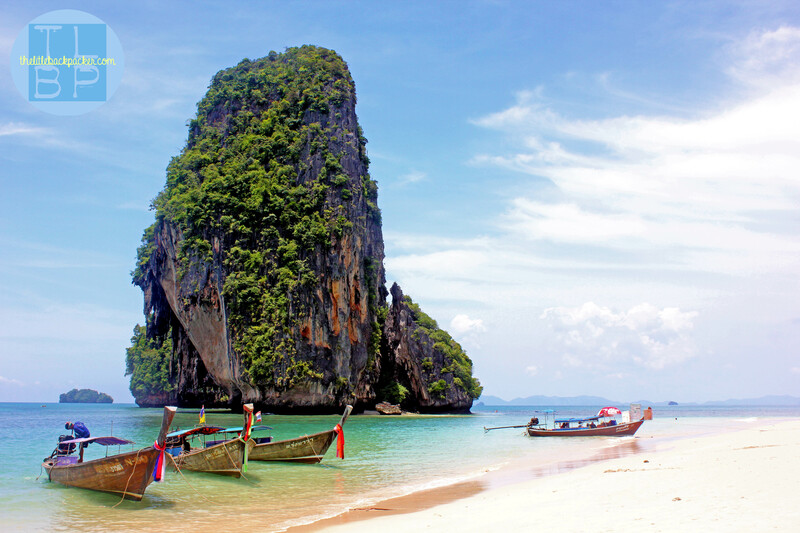 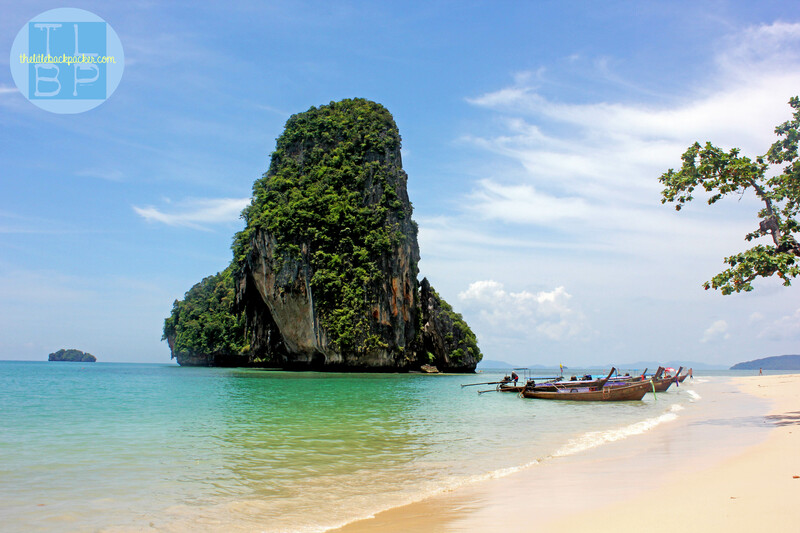 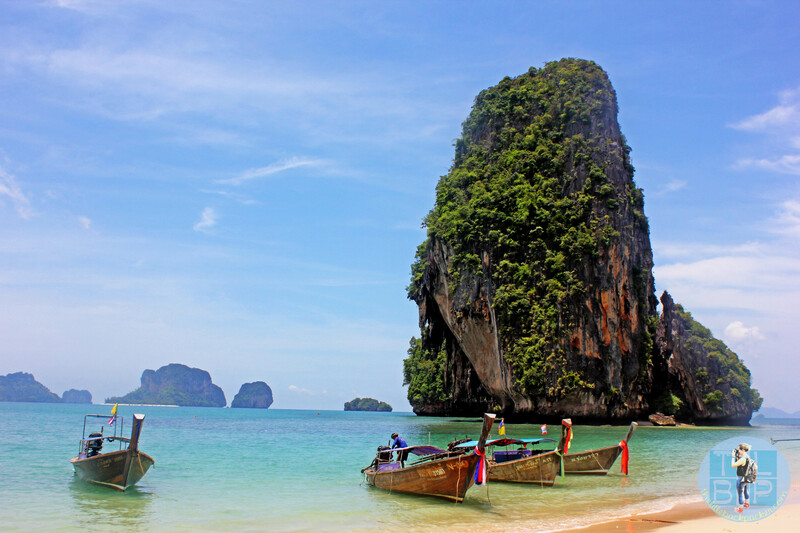 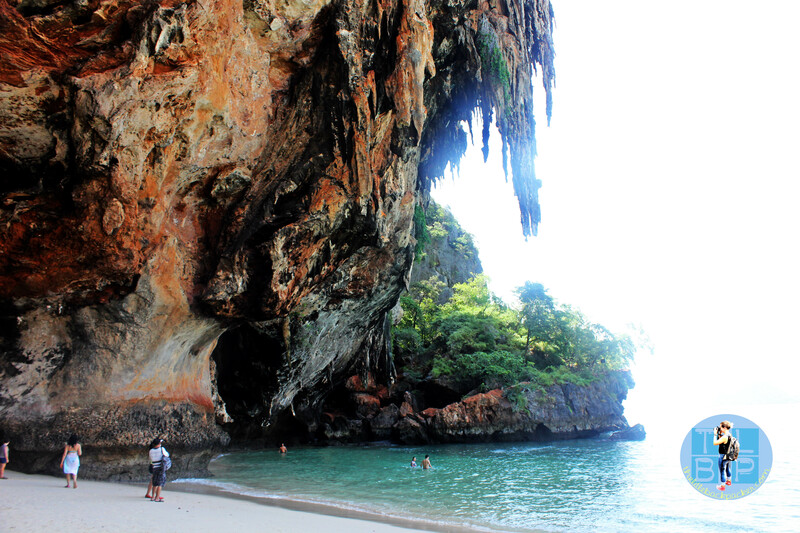 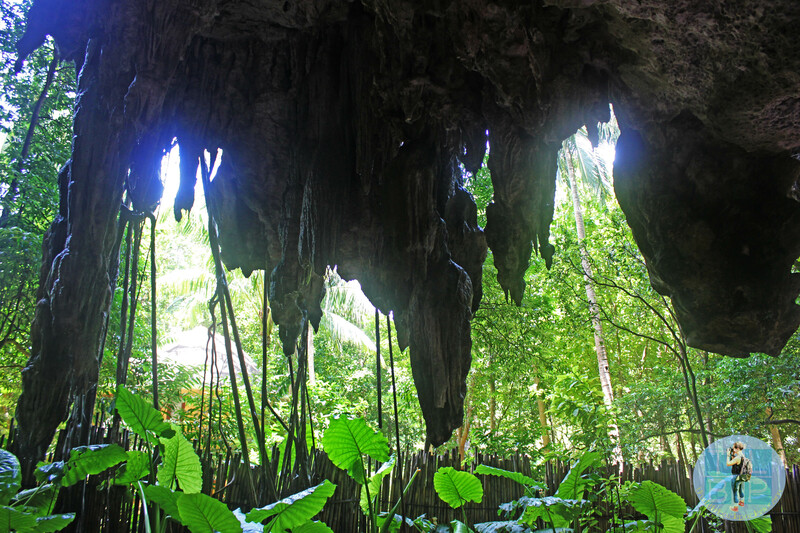 Railay Beach is more than just a beach although you will find the perfect beach there too. 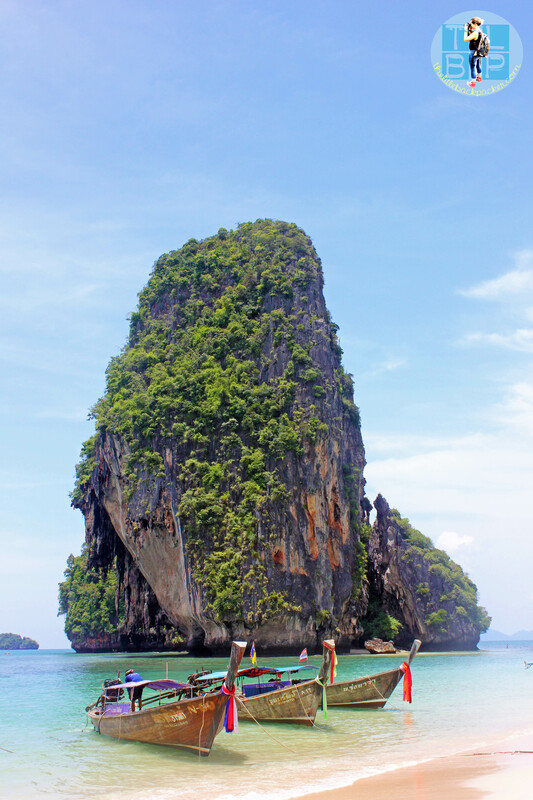 This whole area also boasts great rock climbing opportunities something I didn’t try but sure wish I had.